My baby girl is not yet a year old (and of course I wish I could keep her small forever), but I can't help but envision what her big girl room will look like. We originally went with a gender-neutral nursery, but I would love to go with a fun girly room once she's a big girl. Here are a few things that are a must to include in her new room. This Princess artwork from Urban Barn would be a great jumping off point. Plus, no one is more of a Princess than a little lady, right? Every girl needs a great place in her room to relax, read her books, and maybe take a nap, and nothing would be more comfortable than this bean bag chair from Bean Bag Boss. This Teardrop bean bag chair has a unique shape and it would allow her to sit in any position that she wishes. I also love the quilted seat and shiny metallic fabric. The perfect throne for a little princess. I also found this great upholstered headboard from Wayfair in a rose pink. I really like the clean lines and simplicity of the headboard. I'm sure it could follow her into her teen years. And no bed is complete without these adorable and girly toss cushions. The two floral cushions are both from Indigo, and the middle peacock cushion is from Structube. I LOVE this chrome light from Mobilia! There are no words on how much impact this lamp would give to a big girl's room. Plus, it coordinates so well with the silver bean bag chair. And finally, these accessories would be the perfect "cherry on top" for her room. 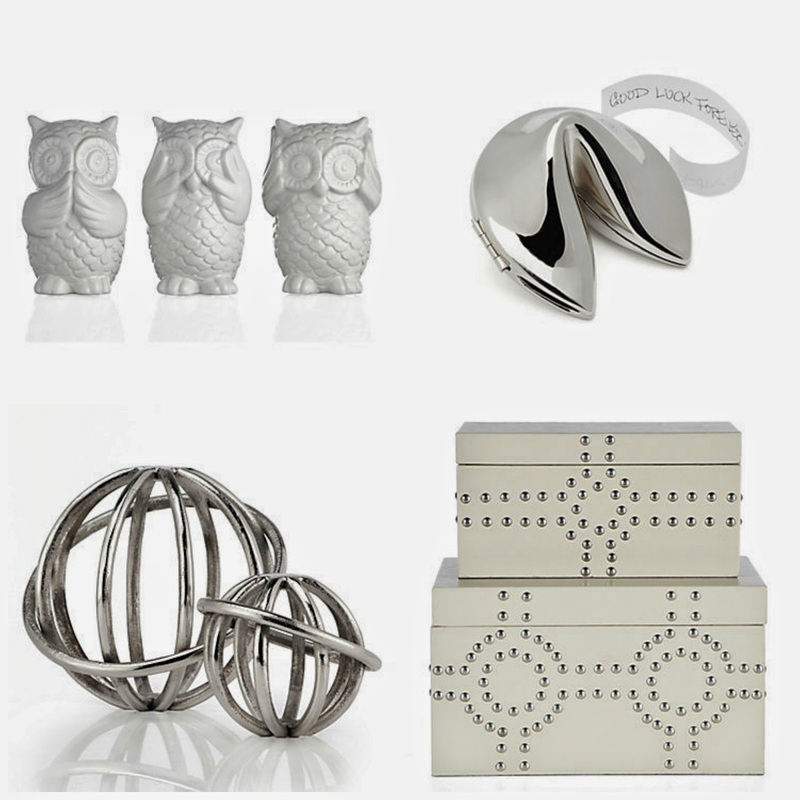 All of these items can be found at Z Gallerie. Someday her room will look like this, but for now I'm going to try to keep this little girl a baby. Well, for as long as she'll let me.